As you may know if you are familiar with the Art In Wax blog I paint my art in many sizes including miniatures. 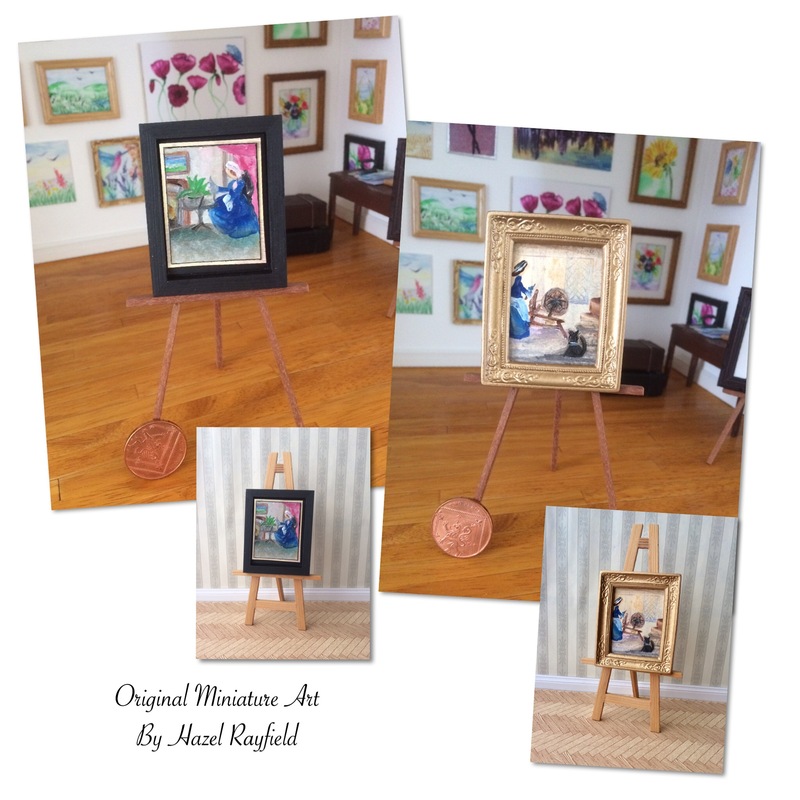 My miniatures range from ACEO size (ACEO stands for Art Card Editions and Originals) which are very collectible to tiny Dolls House miniature paintings. All my paintings including the miniatures are all original pieces and each one is unique ….. This weekend my husband Adrian created a drawing room set in miniature for me to use to display some of my tiny paintings, I have a 1:12 Gallery which he built last year and you can see pictures of this on several of my blog posts including the launch of The Gallery : Grand Opening The Gallery. The Gallery was also featured in Dolls House and Miniature Scene Magazine this year. 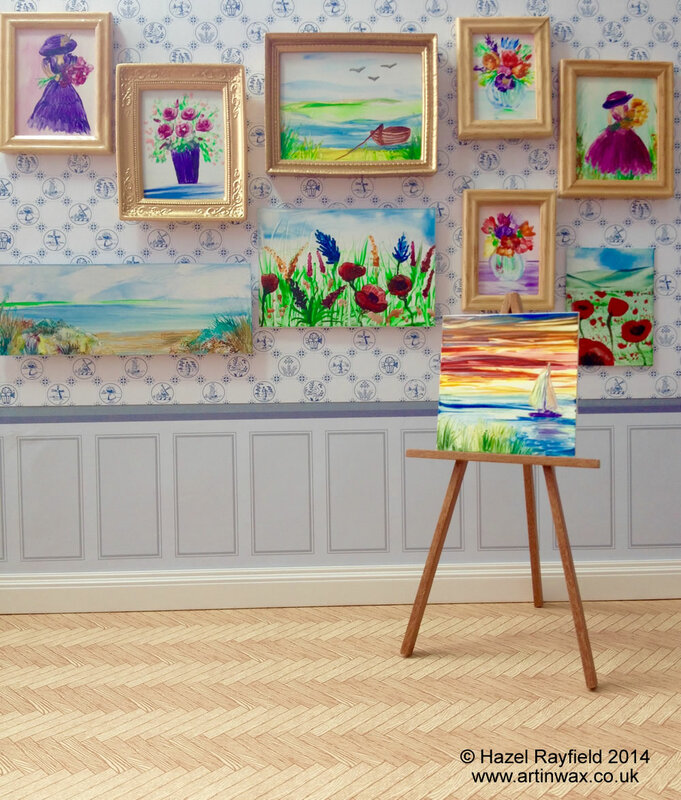 This miniature scene set has a paneling style wall, with white skirting boards a border and small print wallpaper complimented with a parquet floor. I have only temporarily hung some pictures but I will have fun with this scene and take more photos in time. Some are online for sale and other will be coming to an event we hope to attend in october but I will post more details on that in due course, why not connect with me on Facebook for updates on where you can see Art In Wax …. Just a few of the 100 ….. 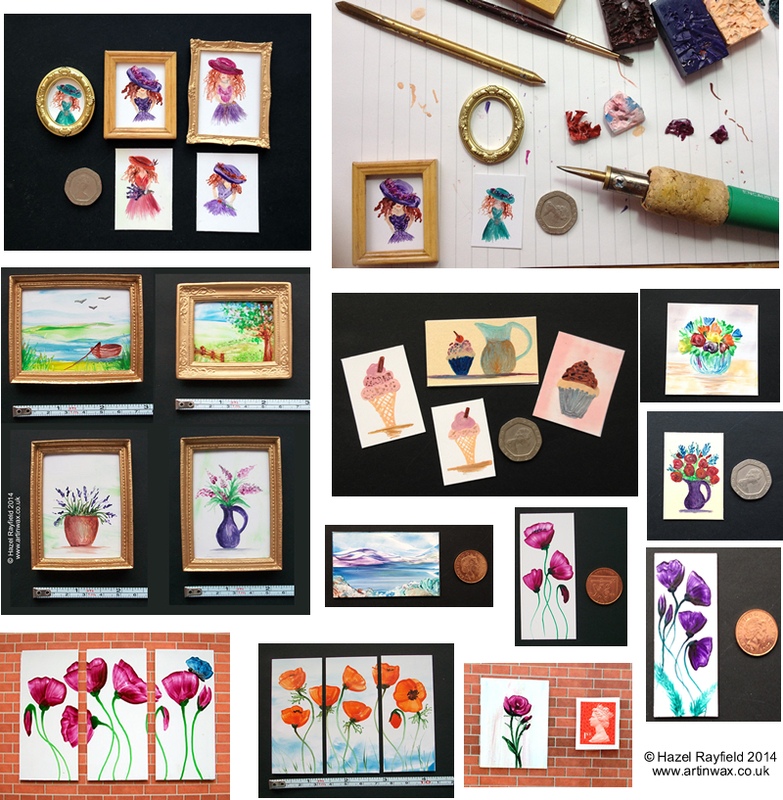 These are just a few of the new 100 miniature paintings …..